Every WOLF-Garten product is well designed and built to last using the very best materials, the manufacturer backs this up with a generous guarantee policy. All products in the multi-change® range come with a 35 years guarantee. Cutting range and fixed hand tools carry a 10 years guarantee. Other ranges come with a guarantee between 2 and 5 years (depending on product). Power tools vary; more information can be found in the product description online. 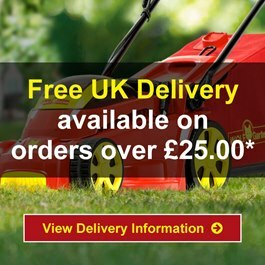 As a retailer of WOLF-Garten, World of Wolf is happy to assist with all product queries relating to goods purchased directly from us within the first 12 months of ownership. After this period we would direct your inquiry to the UK distributor of Wolf Garten, E.P. Barrus Ltd. 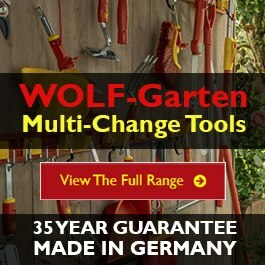 The manufacturer guarantee offered by WOLF-Garten (E.P. Barrus Ltd) covers each product against defective material or assembly of material under normal usage. The guarantee applies to the original purchaser and covers faulty parts and the labour involved in replacing and repairing those parts, which are of original manufacture. To claim the guarantee you must have proof of purchase. On receipt of email an assessment will take place and a decision will be made as soon as possible. You will be contacted directly with the response.